Never caused any issues for who? I can't imagine this not causing issues. Let's give a small group of players an incredibly powerful ability with huge potential for abuse. Let's ALSO make it a secret society/cool kids/invite only club where the players in that Guild will be tightknit and enjoy a sense of shared superiority over the plebes. WE'RE OFF TO A GREAT START NOTHING COULD POSSIBLY GO WRONG HERE. Assume another identity. Have all your toys. All of your skills. And no one outside the org really even knows what all of those skills ARE. Totally infiltrate organizations, stalk people, steal unicorns if you want. Go back to main identity. Be totally untouchable. Laugh at those newbs with your Nighthawk friends. Splash around in booty. Do it all again. This is maybe the most prime example ever of something that is totally cool to read about, and might even be really fun between a group of close RL friends who will all laugh and have a drink over it, but is a hilariously bad thing to give to a bunch of online gamers. "The only person who has stolen from me in quite some time just admitted to being a nighthawk on this thread. If the item had not been a returning one and I had tried to steal it back, I would have gotten a writ, mosty likely taken up by the very person who stole it in the first place, go figure!" "If it's that you would like Celani to provide more RP around being Nighthawks, you should try establishing yourself first as someone who's worth RPing with. Nighthawks gossip, both among themselves and with their OOC friends. If you're the type of person who types SCT NITEHORK the second a novice character shows up in the square and starts trying to emote at people, or try to decapitate them as a test for the lols, or if the second an unknown character sends you a tell seeking you out you check their level via the website and then run and hide in your estate, there is no sane reason why any of them would try to engage you. Here's the thing, guys, I know you're trying to win, outsmart and outplay Nighthawks, but you actually can't. You really can't. Nighthawks have an array of poisons and skills at their disposal to make it so they never need to bother giving you a chance at all, they can just fire a crossbow from another room, backstab and skip away. The only reason you ever get the upper hand on them is because they let you, either by deciding to give you a fair fight or by RPing with you despite knowing there's a risk that you might metagame and expose them. They won't take this risk if they can't trust you". Listen to the snotty, bitchy, smug tone from this chick. And she's not alone. Jesus, they all sound like that. They do not sound people I want to entrust with sekrit super powers in a game I play for fun. And I mean, no wonder people got a little paranoid, by the way. Even from a strictly IC standpoint, why WOULDN'T they wonder if that newbie is actually a newbie? Anyway, these here Aetolians definitely don't seem to be having any of it. GOOD. EDIT: I mean. I am calling that person (who I don't even know) out for the content of her post. Seriously, READ it. She does not sound like a nice person I want lording OP goodies over everyone. You should chill it on the tone a bit, Jules, you're getting a bit too personal there, like or hate the Nighthawk mechanic. I actually don't even know that person (that I quoted). I was just reading her post from the link along with posts from the other Nighthawks. It's as if Regina George and the whole Plastics crew took up text gaming. "YOU CAN'T SLIT WITH US". I think we have deterred from the main point of this post now, guys! If you'd like to continue discussing the various points about Nighthawks and their mechanics, please feel free to create a new, friendly discussion! Disregarding nighthawks for a moment, someone should probably add something to the original post about Ylem/Lessers/Majors, because as an Imperian retiree, I still don't really know what I should be doing, aside from showing up. Even after reading the helps, ghelps and chelps, I get a kick out of being there, but I don't really know what I should be doing to help beyond killing dudes. Lessers are basically our equiv. to shardfalls. However, unlike the shards that are all over the place, the lesser is consigned to one room in an area. You need the skill of Refining in order to tap into it and only one person can tap into it at a time. The ylem will go towards the organization of the person tapping into the lesser and also fill their personal ylem reserves (not unlike how with shards, you can either put them in your org's pylon or your own personal stores). Refining also includes a few abilities that will help you during lesser fights like Barricade or a few abilities that can be used outside of ylem-related conflict at the cost of your personal ylem reserves (such as Shell). Majors are basically rare variants of ylem-related conflict that usually have some kind of special ruleset, similar to how an arena has different game modes. The goal is ultimately to get ylem, but how your group has to go about it differs most of the time. Edit: Oh, and just like how shards can appear in random areas in small amounts in Imperian, we have the same thing with minor foci. They'll appear in random areas and count for a small extraction. At the start, if you don't know Refining, you can just go in and start killing dudes that aren't your organization and you're basically doing it right. I'm Rahiel from Imperian, so feel free to approach me if you have any questions regarding ylem conflicts and their correlation with Imperian conflict systems. This is actually incorrect. The skill to see foci in a room, as well as detect their presences in an area are both in Vision, and extraction is in Survival. Okay, yeah. Extraction is in Survival. Everything else is Refining is stuff that you can do at a lesser with ylem or your own personal ylem reserves. So just ignore the part about extracting needing Refining, but you should probably consider getting Refining down the road either way if ylem conflict is something you're going to be doing. 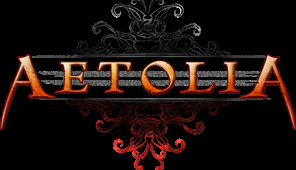 I want to thank everyone for being very welcoming to our players migrating over to Aetolia. We really appreciate the help. Did all the Nighthawks migrate here? I should expect no less, you clearly all have good taste. ur an afternoon hawk at best Ishin. Maybe a lazy sunday hawk. Idk which of you newbs are these particular types of newbs but I am feeling very welcoming and happy to see you. HMU if you need any advice or if you need to try to assassinate someone to bring back old memories of whatever time of day hawk you were. I never played Betrayal at Krondor so I have no relephant transitional advice but I'll pk u 1v1. I just wanted to pop in to say that, as a long-time and frequent player of MKO (since the game opened, actually, eesh) despite my homebase being of course, here in Aetolia, that I'd be happy to help or answer any questions anyone has as well. I recently retired my Midkemian, so, I can sympathize the same that everyone else from around the corner is going through. I want to just say that if you've browsed around Aetolia's forums and are curious about moving here, you'd be picking the best. I've never felt more at home than amongst this crowd, even with the conflict that is -given to all- games, and my own points of discontent. It happens, when you have a bunch of different people rounded up that have invested a lot of themselves into it, but this community has matured and grown together over a long period of time so overall, you'll find it to be a crew that's eager to be helpful and involve you. The RP here is, and I'm quoting @Seir , top-notch, because that's the truth. Welcome to the art of storytelling, my friends, because you're about to experience it in full-blast firsthand. More than anything else, there is a place for everyone, so diversity and creativity is flourishing. I like throwing out my emotes whenever I can lock someone down. Coming from MKO and so far I'm liking what I'm seeing. enchantments: When you don't have someone enchanting stuff for you, and you end up buying it from the shops, see HELP CASKS for info on how to use scrollrack enchantments. Suggestions - let the old pass away and embrace the brave new world, you won't be sorry, love it here.